When we remember people who are no longer alive but who left behind a good impression, it is often said of them: Music, motorcycles, nature, traveling…was his/her life, something that they did with passion or that they were passionate about, things that filled up their lives. 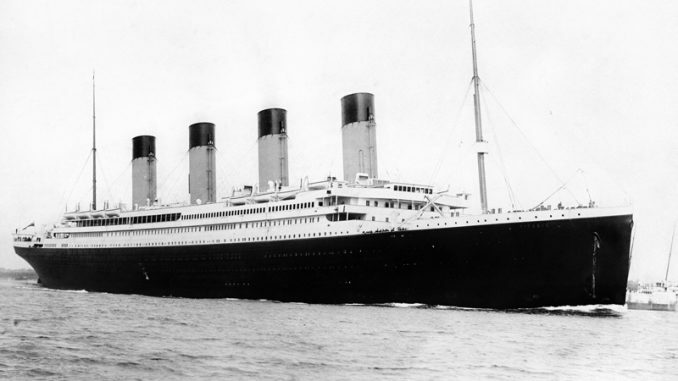 It could certainly be said of Tim Maltin, a British author, historian, and TV presenter, that the Titanic and its sinking on April 14, 1912 is “his life.” In a profile of him, it was written that he has devoted his life to a single task: to find out what really happened in the icy waters of the northern Atlantic on that night. Without a doubt, it will be said of him that he accomplished much and certainly discovered amazing things. But if his life is really dedicated to this one single purpose, what would the end of his life really bring about? What eternal value do these findings have? What is the eternal value of the things that excite us in our lives and the things we devote our lives to? Have we thought about this yet? This doesn’t mean that we can’t have any hobbies or that we can’t be passionate about something. It also doesn’t mean that we can’t grow and develop in our careers. But how is our passion for God, our Lord? Is my life devoted and consecrated to Him? Am I driven to continually learn new things about Him in His Word? Would other people notice my faith and my trust in God? Paul once wrote to the Philippians (1:21): “For to me, to live is Christ, and to die is gain.” If we observe his life based on existing records, we come to the realization that Paul did not exaggerate. We, too, today would also have to testify this of him. What is your life? God bless you as you think about this question.